It provides us with an ideal starting point: a general view of international capitalism, identifying the crucial differences in the dynamic of accumulation at the centre and at the periphery: differences which promote development in the metropoles and inhibit it in Africa. It is our hope that his work, which represents the most significant African contribution to the debate on underdevelopment, will be studied widely and discussed critically. And so it was. Some of the subsequent issues of ROAPE in the 1970s, as well as books and articles in other journals published in that period endorsed or took issue implicitly or explicitly with his model of accumulation. The idea that a home grown capitalism was developing in African countries contested any view of the world in which Amin’s centre was inhibiting any possibility of, in his phrase, a ‘self-centred system’ in which value is transferred from the periphery to the centre through a process of unequal exchange where returns to labour at the periphery are less than returns to labour at the centre. Cheap labour produces the exports of raw material, both agricultural and mineral, to a centre where the value of labour embodied in the final product is higher. In his overall model, the centre produces the capital goods that produce the consumer goods for their mass markets. The periphery produces export goods which pay for the imports of what are relatively luxury products for a small elite class within the peripheral economies. Even if some of those consumer goods are produced within the peripheral economies, their markets are small and the capital goods needed for that production have to be imported from the centre. Re-reading the analysis in Amin’s article is a sobering experience: fast forwarding to the present, little has changed. Even if there were countries which tried in some way to break with the system – Nyerere’s Tanzania with its policy of Socialism and Self-reliance, for example – they never broke or were allowed to break with the system of capital accumulation in which profits found their way to the developed economies of what we now term the ‘Global North’. Of course there has been some development of capitalism in Africa but this has not resulted in significant structural changes to economies. They are still largely dependent on the vagaries of world commodity markets, exporting raw materials and importing capital and consumer goods directed to a domestic market of higher income consumers, whose income derives from the high end of commodity trading, financial activities and their servicing, and those with larger farms and estates. Meanwhile large proportions of the African populations languish on or below the poverty line. The self-centred economy described in Amin’s article and books, has as its ‘central determining relationship’ that of the production of capital goods for the production of consumer goods for the mass market. In the periphery on the other hand, that relationship is a ‘peripheral- dependent’ between earning export income in order to consume ‘luxury’ goods. In the capitalist developed countries this system had been achieved in Amin’s approach, by a ‘social contract’ between increasingly monopolised capital and organised labour which allowed for some degree of ‘planning’ to avoid the cyclical fluctuations associated with capitalism before the second world war and especially between the first and second world wars. Amin defines the underlying contradiction of capitalism which causes these fluctuations as one between what the system allows to be produced and what it prevents, in its search for profit, people to consume, but argues that ensuing cyclical fluctuations have been moderated by the ‘social contract’. He regarded the China of the Cultural Revolution as addressing this issue and indeed although China developed in a way that Amin may not have foreseen there is some basis for the view that it did first ensure an autocentric development path, only engaging with global capitalism when it was in a strong position to do so. Much has changed in China since 1974, as is the case across the world. We are now possibly in an even less favourable phase of world history. The contradictions of capitalism at the centre are being resolved in ways which inhibit the periphery even further from a socialist self-centred development. In the past four decades we have lived through the triumph and the crisis of neoliberalism, the global financial monopolisation of capital, the colonisation of the State by private capital principally by the privatisation of state assets, and the liberalisation of the labour market with stricter anti-union laws and transnational freedom of movement resulting in the suppression of wages with the consequent increased social inequality and deprivation. Africa economies and the rest of peripheral capitalism have been ruthlessly subject to neoliberal policies which have made them even less able, even if willing, to pursue a self-centred path. These developments are fundamentally the reaction to the falling profit rates of the 1970s as wages, after pressure from organised labour, took an increasing share of the value of output. Capital’s recovery of value from labour points to the central contradiction of capital that Amin set out in his article: that the only way value can be realised in a mass consumption market is for the masses to have the power to consume. As consumers’ incomes were squeezed under neoliberalism, this contradiction was resolved by increasing credit to consumers which led to the financial crash of 2007/8 and can only lead to another financial crash, which some believe is imminent. Underlying these developments is increased automation, computerization and robotization which reduces the need for physical labour, creates ever cheaper durable consumption goods and leads to a contradiction between technology and the way society is organised, or as Marx would have put it, between the productive forces and the relations of production. Samir Amin’s later writings (see for example, The Implosion of Capitalism. 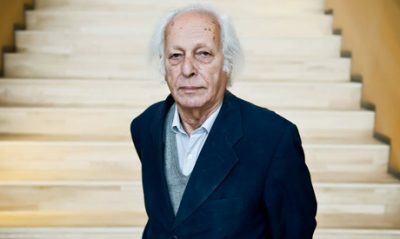 Samir Amin, 2013) clearly recognised the changes that the world had seen since 1974 outlined above, but his conception of the period since 1974 as a long crisis of capitalism and his advocacy of peripheral countries ‘de-linking’ from the global economy, more fully discussed in John Saul’s contribution and touched on by Ray Bush, do find their origin in his work four decades earlier. It is a mark of the power of his original insights that they are as relevant today as they were then.